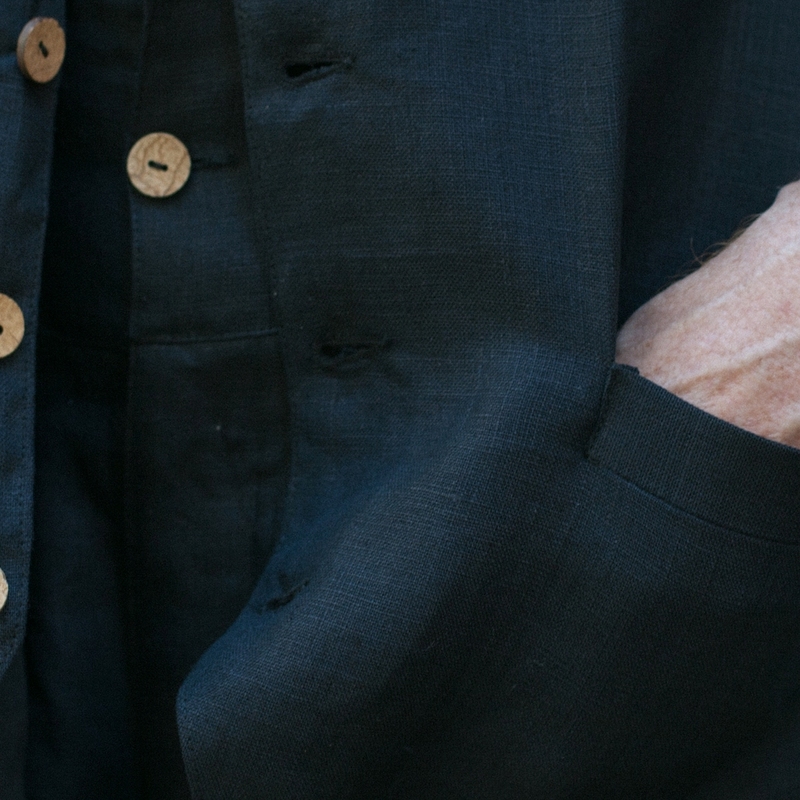 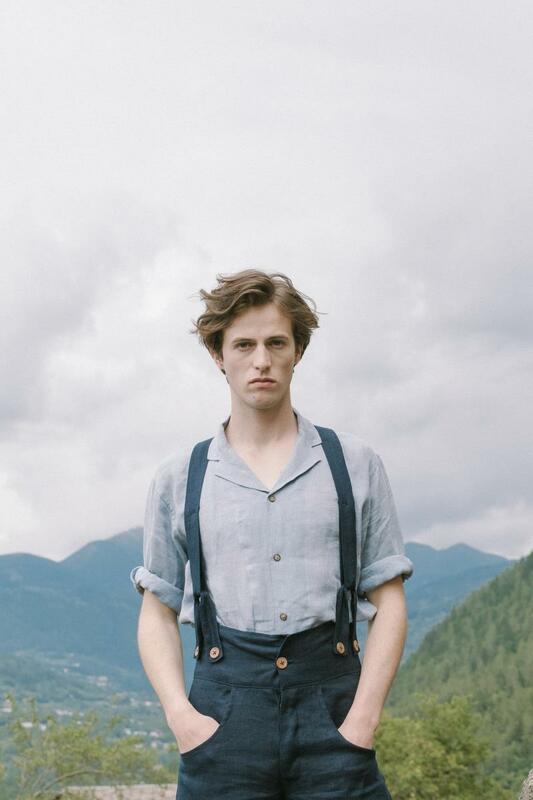 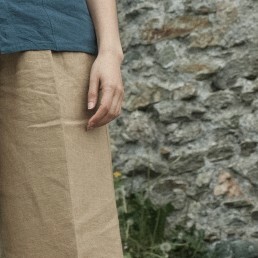 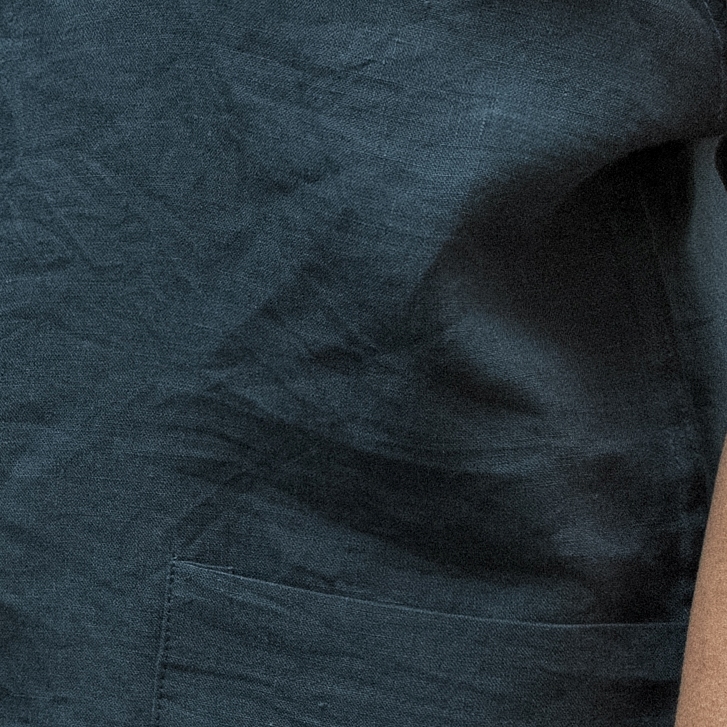 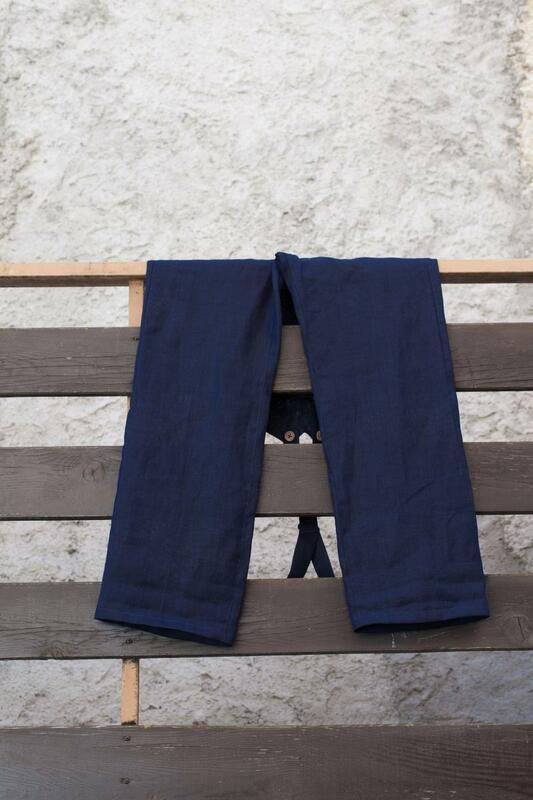 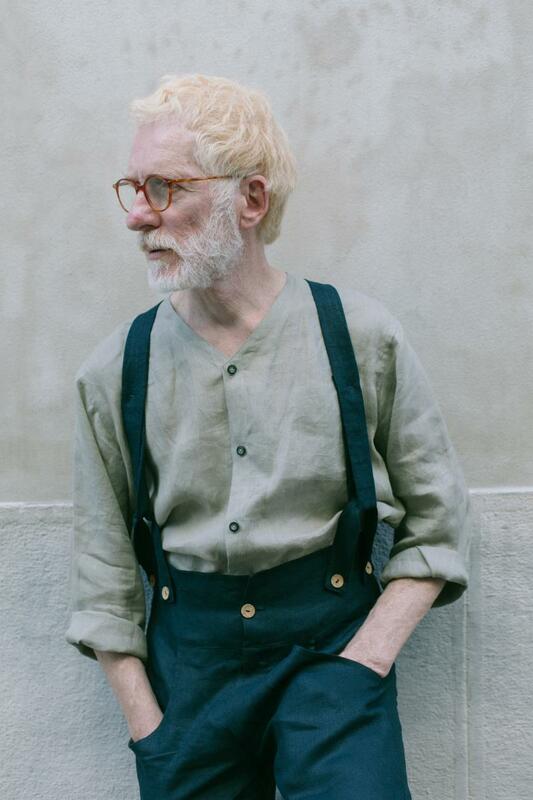 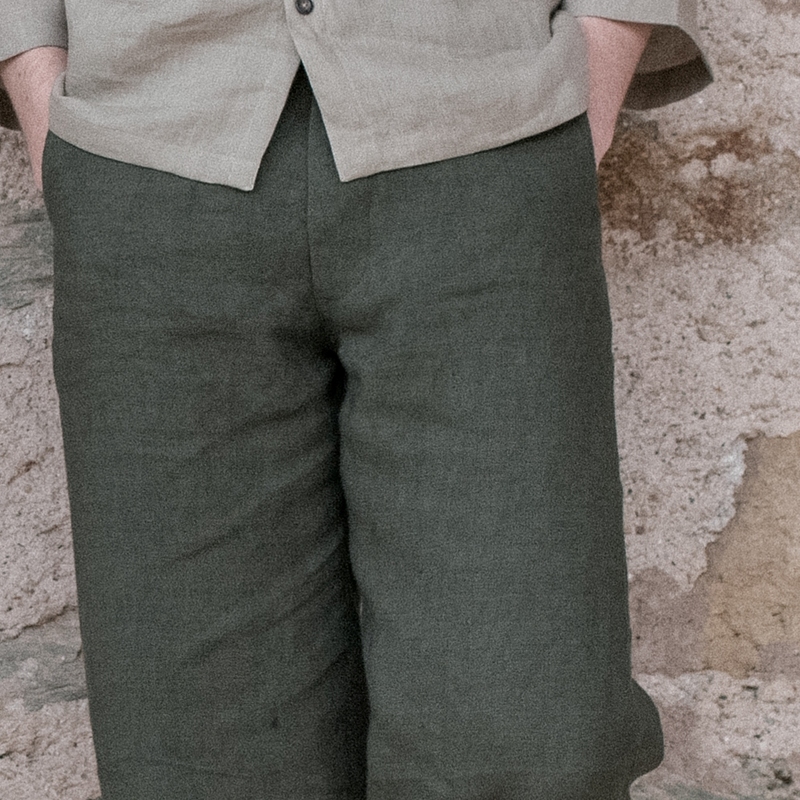 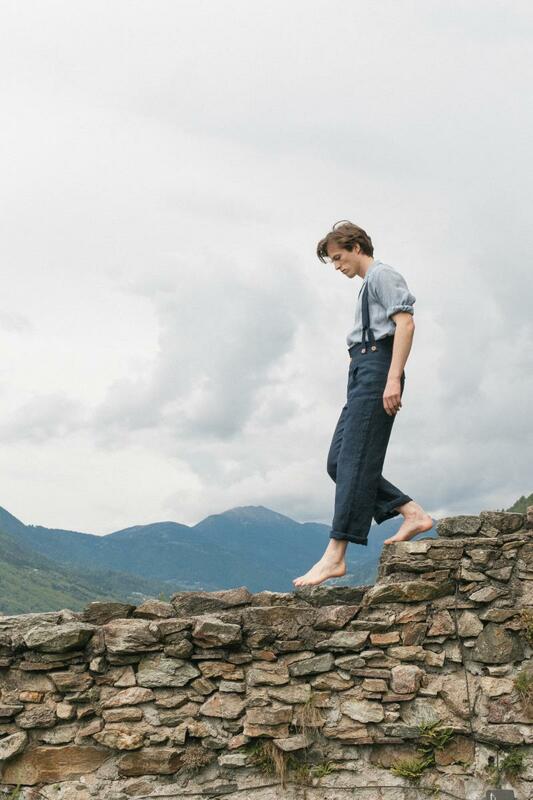 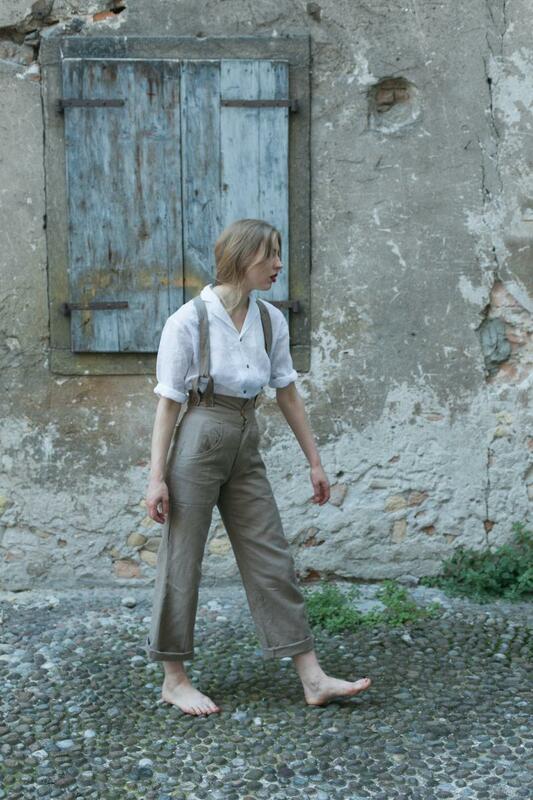 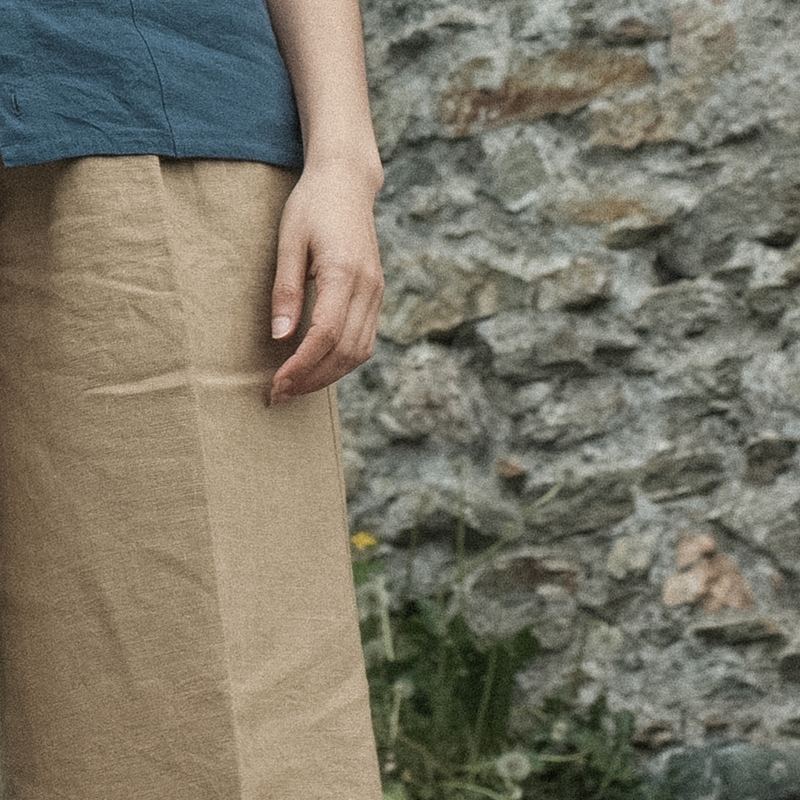 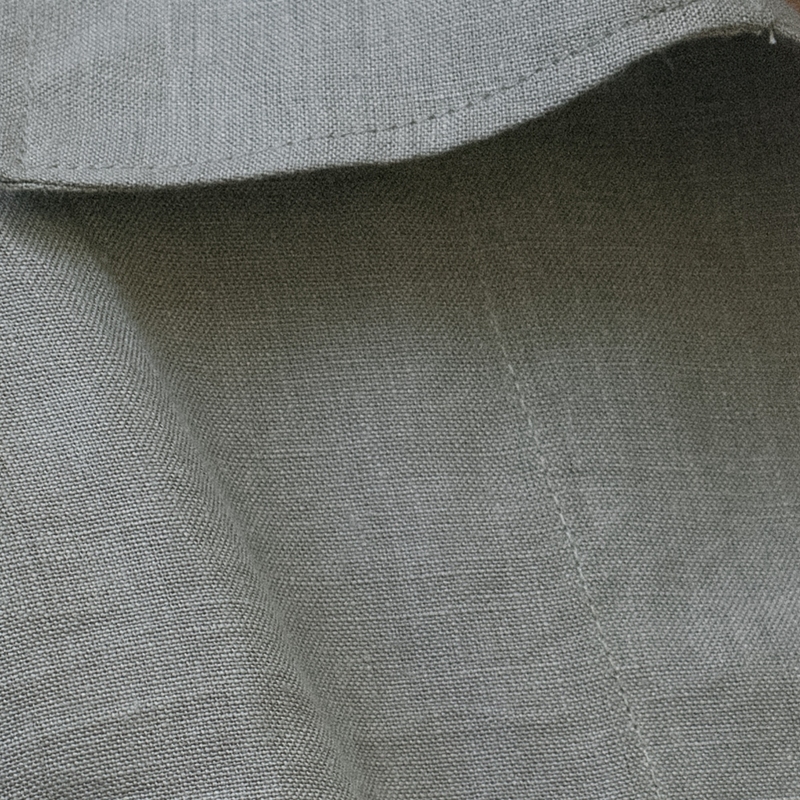 Straight leg and a wide bottom hem trousers, an ode to our Rigwell jeans, but made in linen to keep you great company during the hot weather. 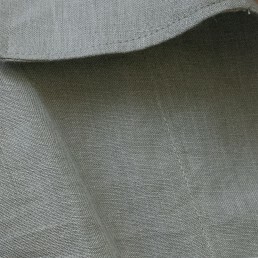 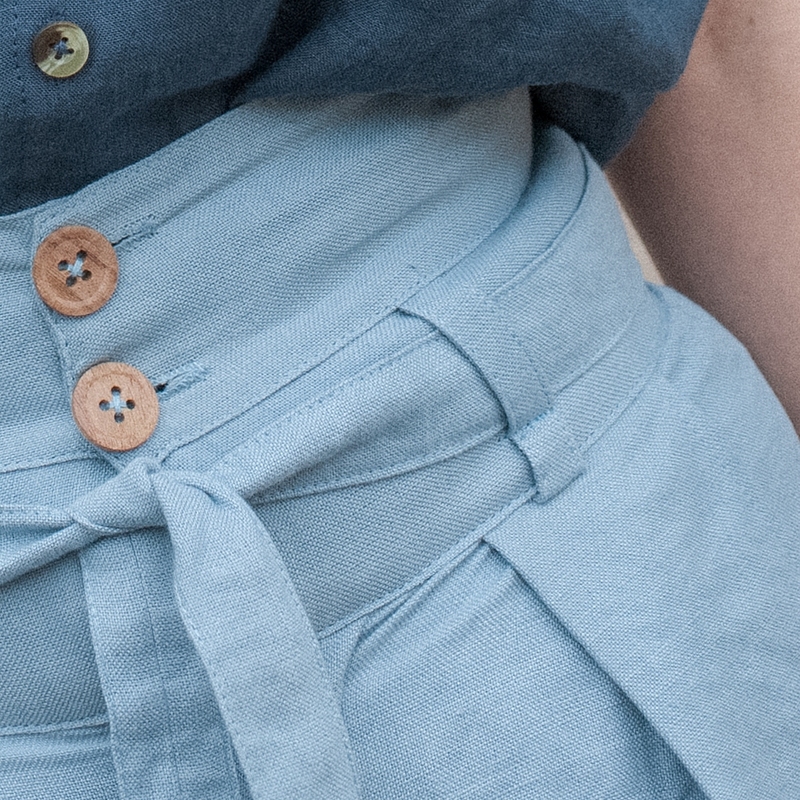 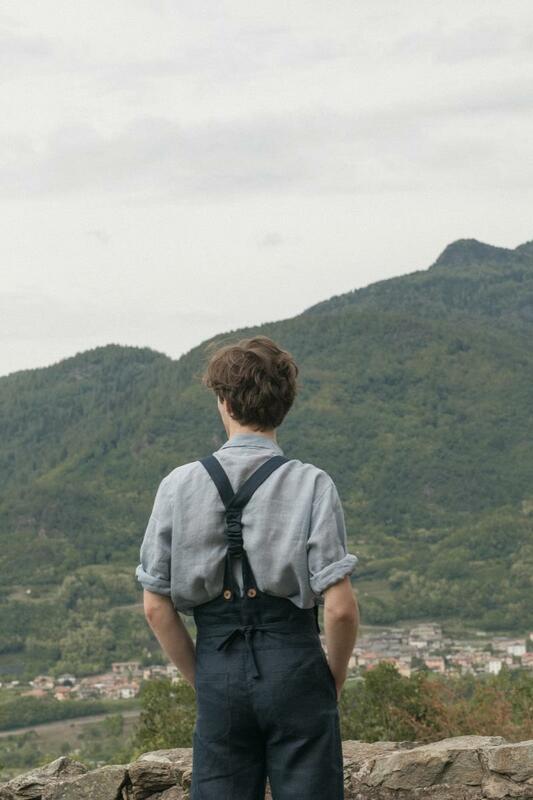 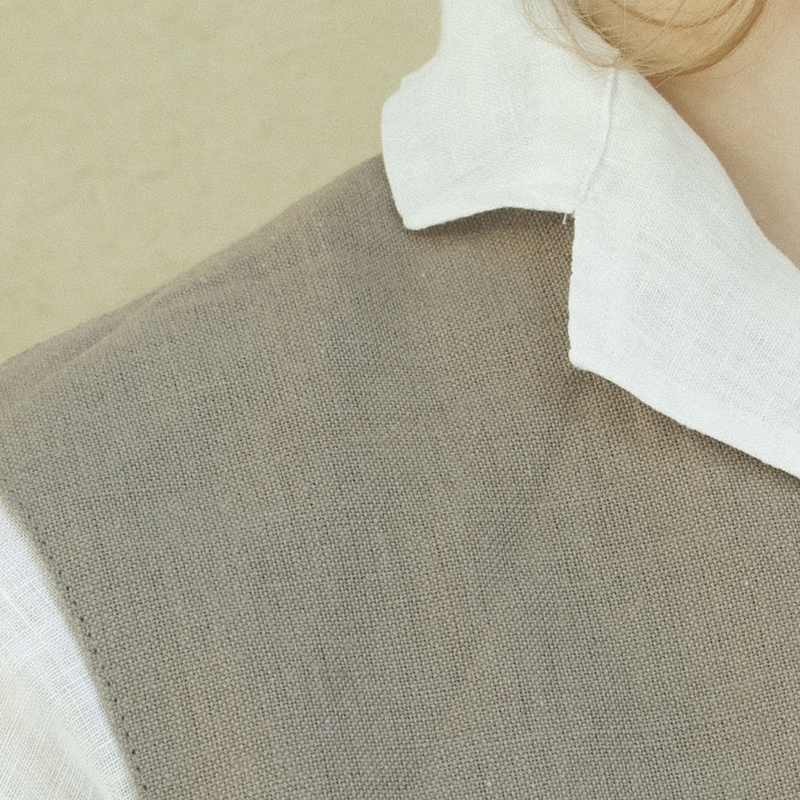 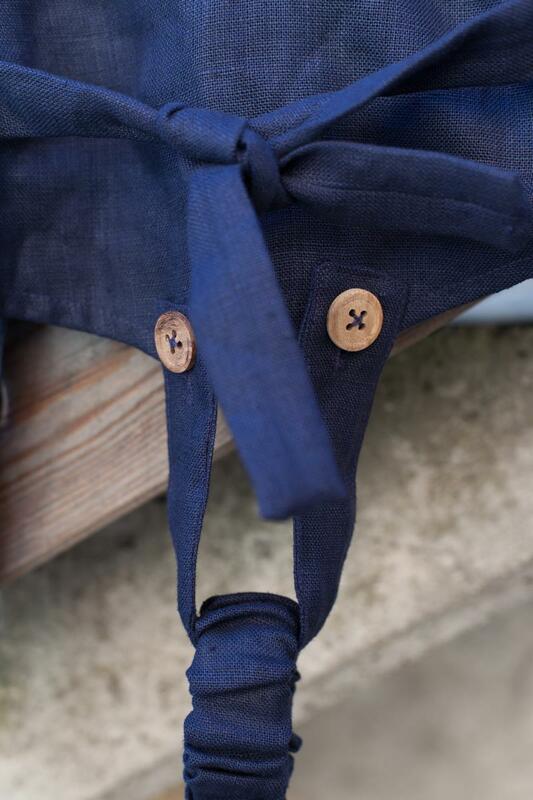 A knot-tie belt at the back. 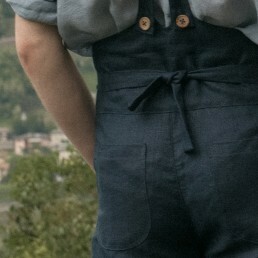 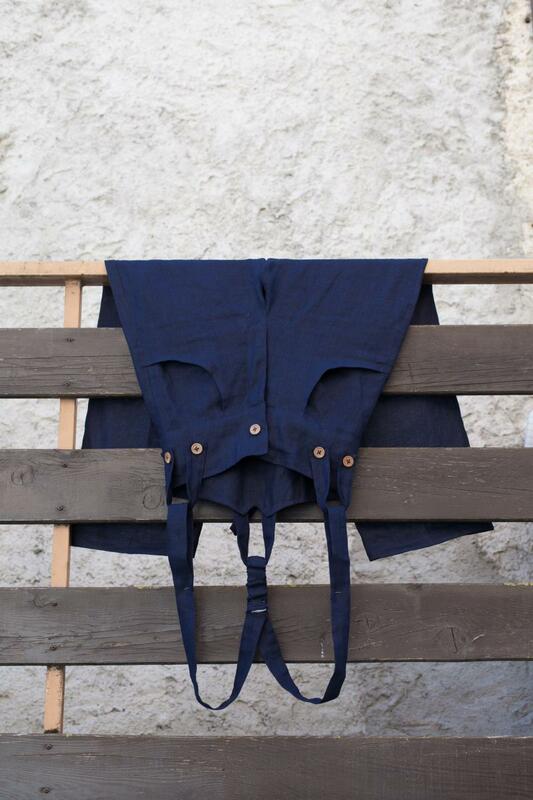 Comes with matching linen braces.